On the other hand, organic foods come with the assurance of a governing body. Organic food comes with a guarantee and a heavily regulated food system. There is no trace of any kind of toxic chemicals, toxic NPK fertilizers, pesticides, synthetic herbicides in organic foods. Organic farming comes with a lot of norms and regulations. If authorized government officials find any default or use of hazardous chemicals they will immediately terminate the production. Bio-products for agriculture in India started during the early 70’s for the cultivation of organic food. To maintain the quality of the food products, organic producers and processors are subject to rigorous announced and unannounced inspections by government officers or third party-inspectors. The whole process starting from production, handling to processing is done by maintaining the standards set by the government. You will also find that organic labels have legal implications unlike natural food labels, where manufacturers lack adequate guidelines. 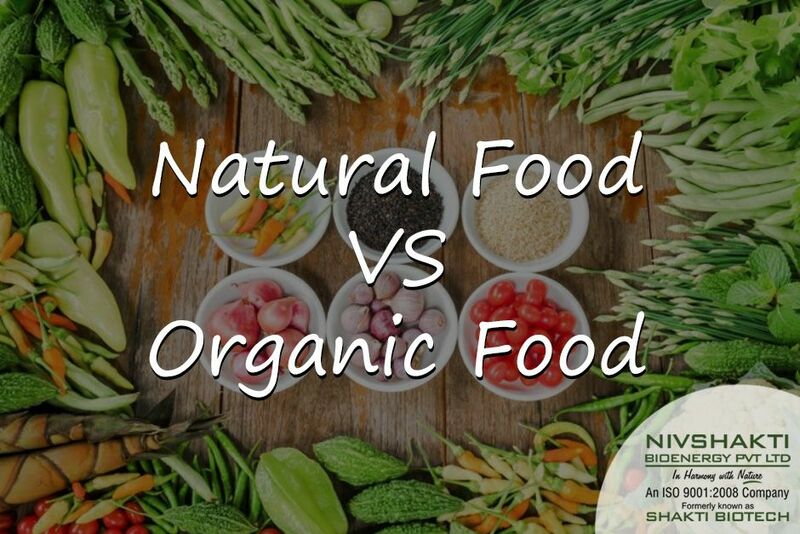 Additionally, organic food has more shelf life than natural food, meaning organic food can be stored.